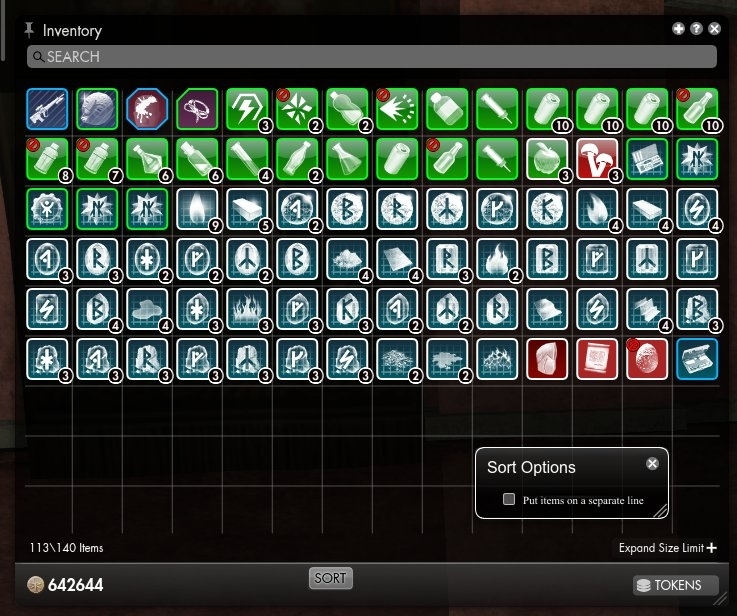 Inventory Sort is basically a clone of BagSort which fixes 2 things that have annoyed me for a while, namely the blocking of the client while sorting and reloading of the UI causing the inventory to break. 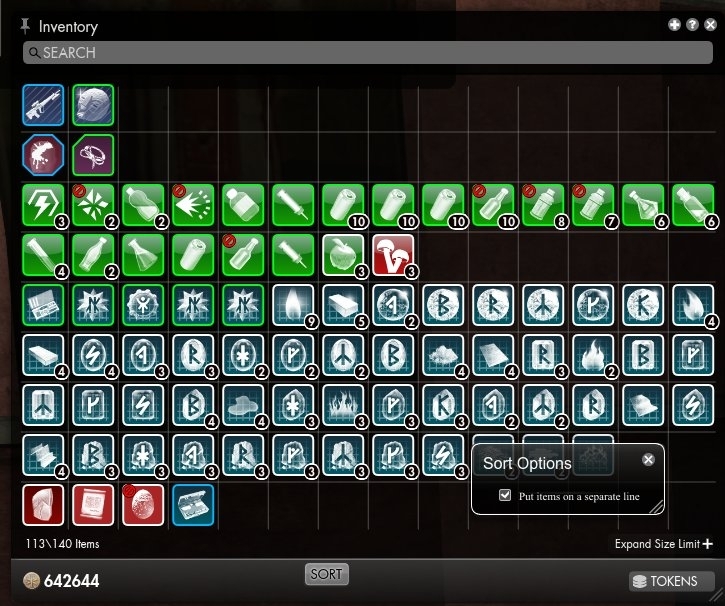 Adds sort button to default bag. 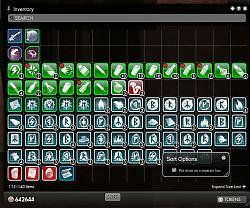 Can auto stack items in bags and bank. 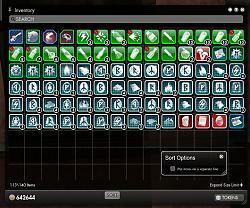 Stack items from default bag onto existing stacks in bank. Handles augments as their own item type. Client continues running while the sort takes place. Has two modes of layout for the sorted items (see screenshots). If TopBar is not installed, the options can alternatively be accessed using "/option SykjaSortOptionsVisible true"